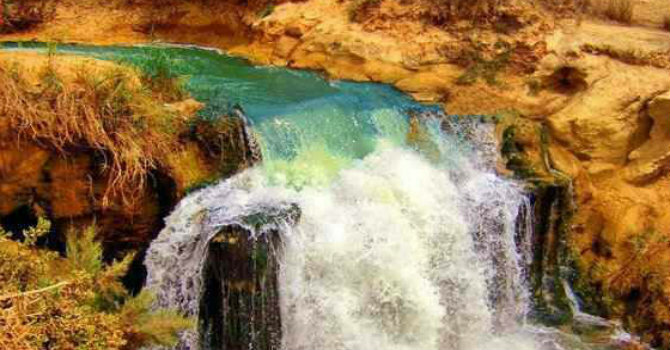 Today you will travel to Al fayoum Oasis only 76 kilometers south of Cairo where lies the oasis of Fayoum. The wooden waterwheels is the top attraction in the city; it gives an example of the creation of ancient Egyptian engineers. The city of fayoum was the main spot of Sobek worship, busy with 200 of the immense waterwheels spread throughout the oasis with palms & mango around. Explore Qarun Lake where various kinds of birds are living, Qarun lake is considered one of oldest natural lakes in world, the 3rd largest lake in Egypt. It is an internal lake not connected to any sea. At the other side of the Oasis, lies many ruined temples in Karanis ancient city. You will visit Qasr Qaroun consists of the well conserved temple and ruins of the Dinysios Greco Roman city. There is also an opportunity to visit Wadi Al Rian where you will enjoy riding a motor boat around before traveling back to Cairo. 42km protected area below sea level & 65 km southwest Faiyum city about 2 hours drive from the Western Desert. Wadi El Rayyan national reserve covers an area of 1759 km2 and designated a national park in 2005. Consists of 2 man made lakes joint by channel and waterfall.